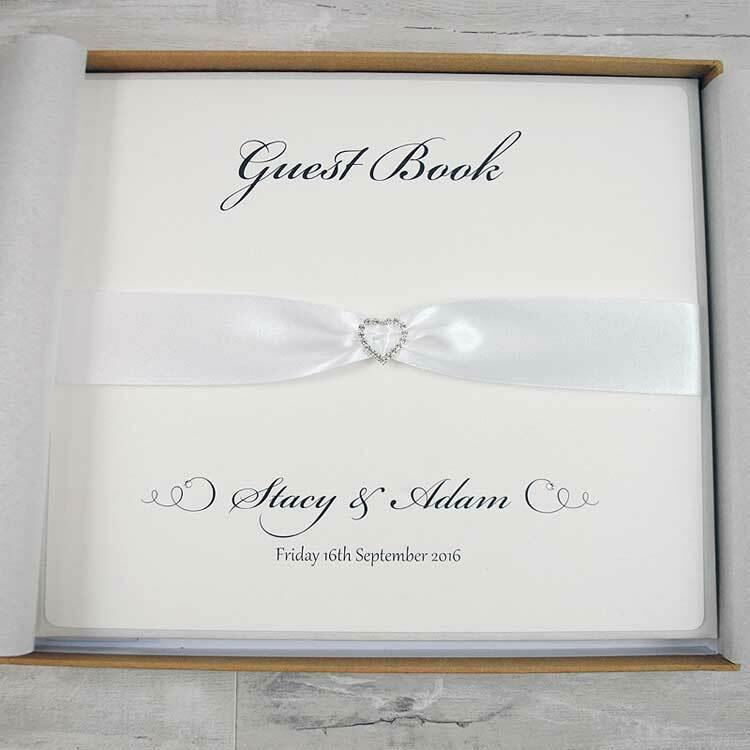 Our luxury wedding guest books are a lovely reminder of all the guests who have celebrated your wedding day with you and are fun to look back on for years to come. 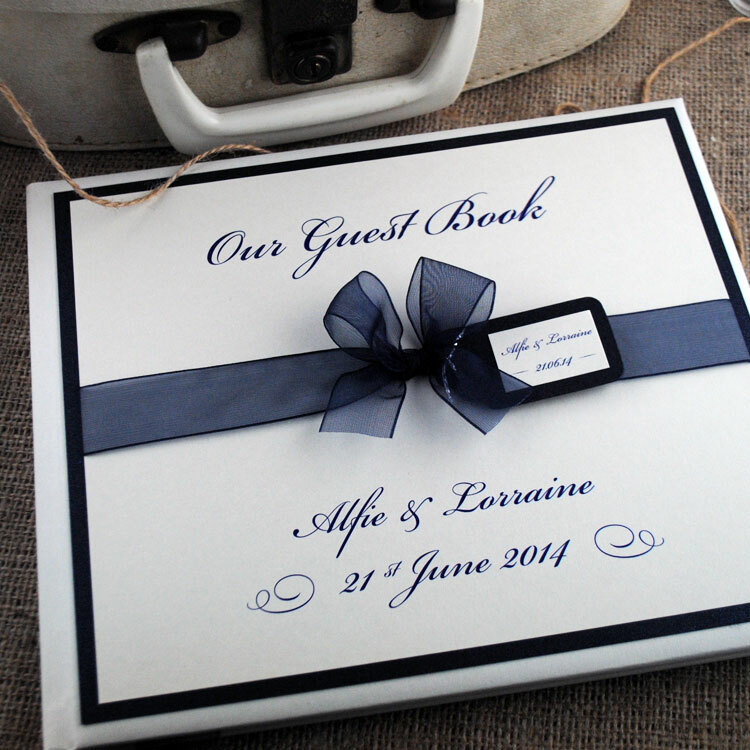 Measuring 210mm x 255mm, our luxury wedding guest books are locally made by UK bookbinders and finished by us in your chosen design and colour scheme. 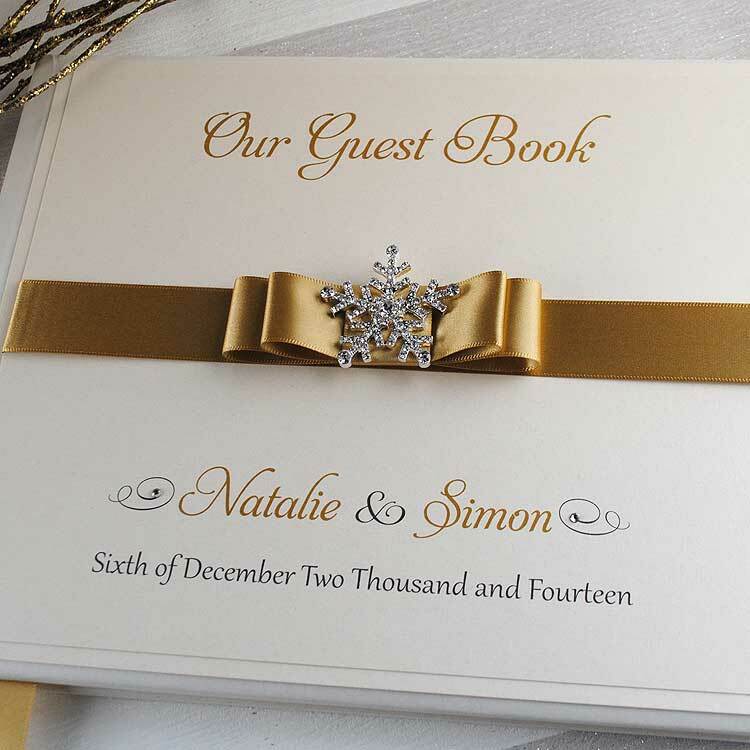 Supplied with 40 blank pages of matching pearlescent paper in white or ivory. 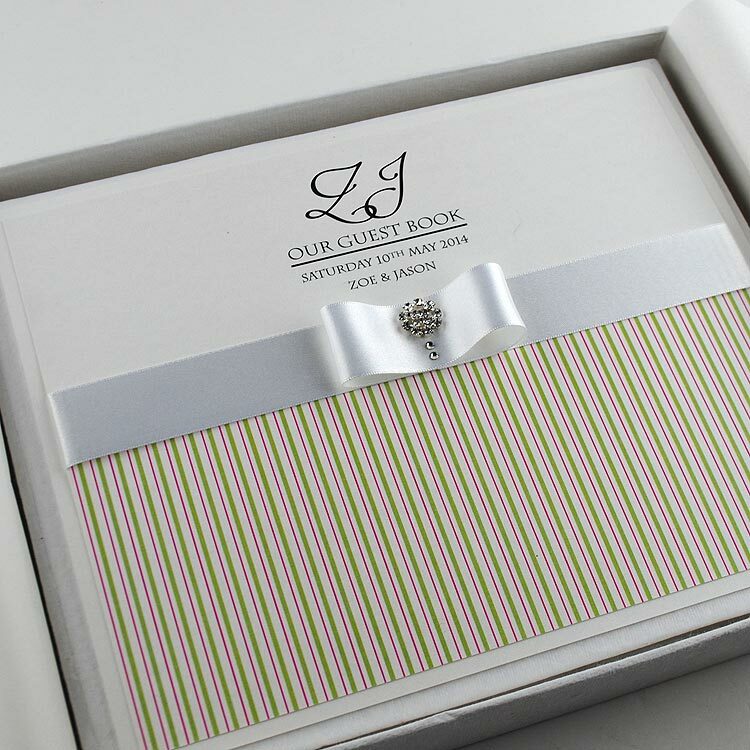 All of our luxury guests books come in a tissue lined, ribbon bound rustic kraft presentation box. 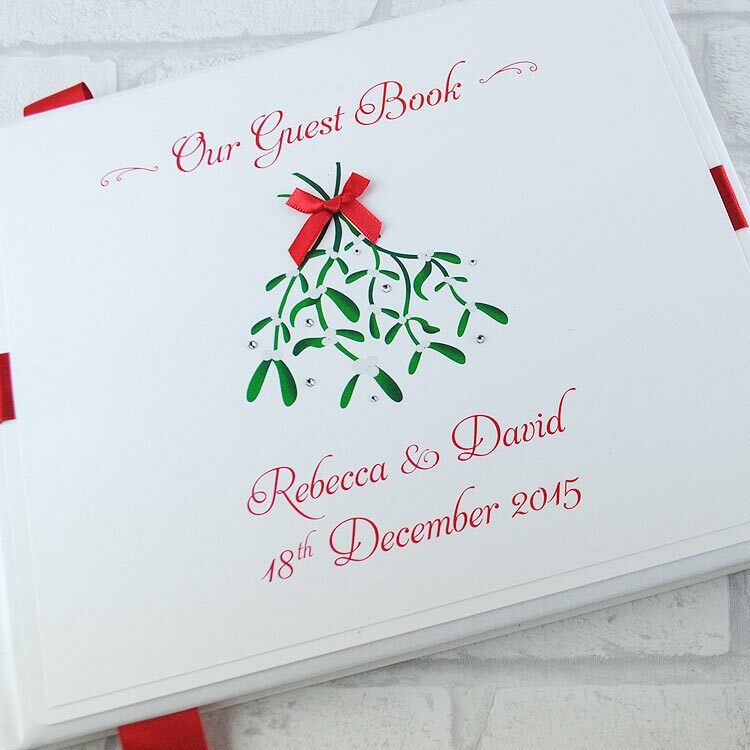 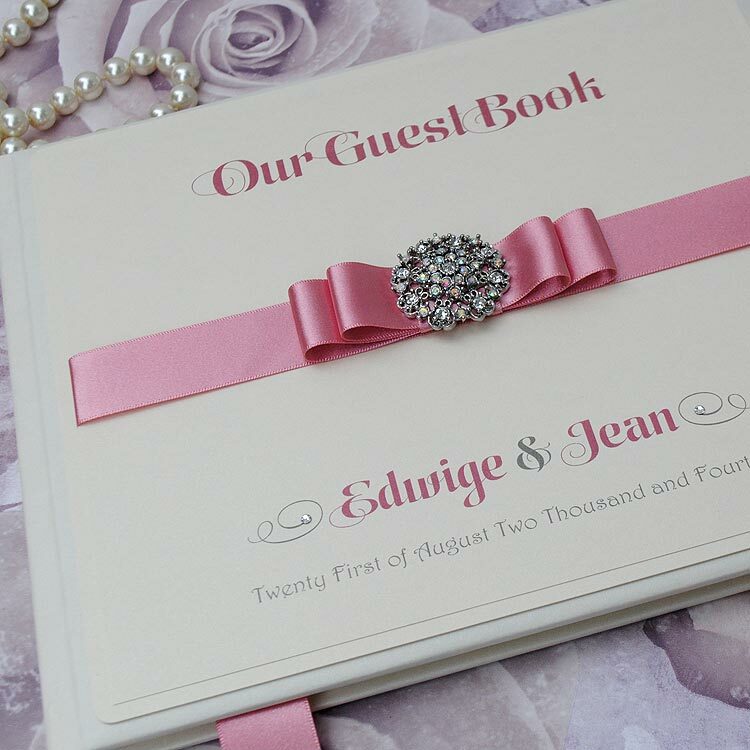 Our wedding guest books are available to match all of our invitations designs so they are the perfect way to carry your wedding theme through to your wedding reception. 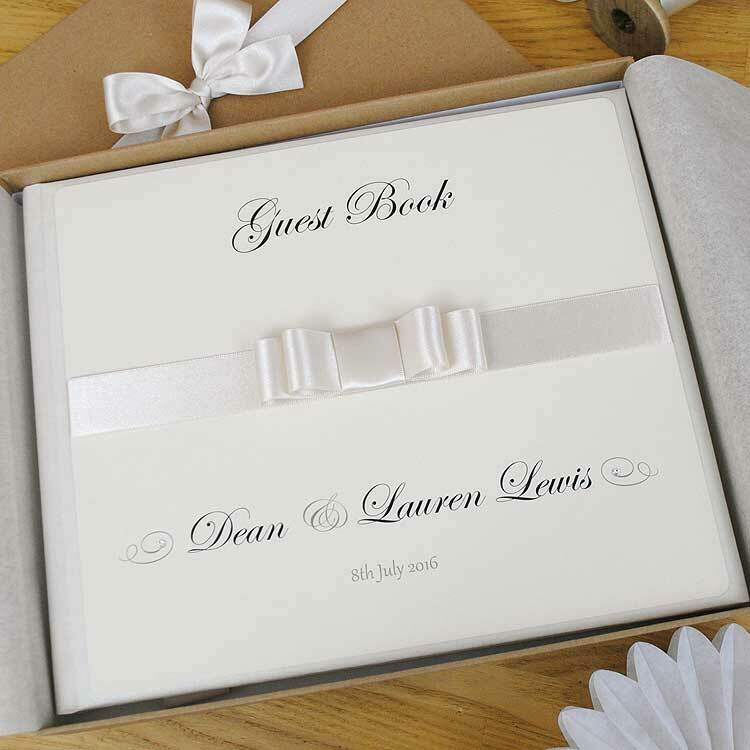 Delivery normally available in 5 – 7 days – if required sooner do get in touch and we’ll do our best to accommodate your order. 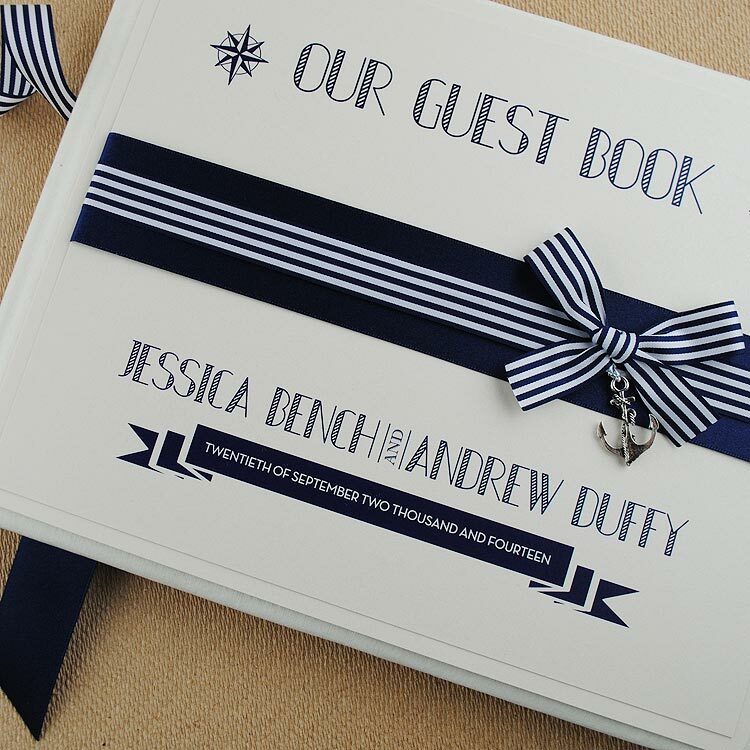 Call us today on +44 (0)7886116950 to discuss your requirements or visit our Etsy shop to purchase your personalised wedding guest book.